New Delhi: Ashoka University is pleased to announce the appointment of Sankar Krishnan as its second Pro-Vice Chancellor. He will assume his responsibilities from September 4, 2017. In this role, he will work in collaboration with the Chancellor and the Vice Chancellor’s office to drive the University to its next phase of growth. 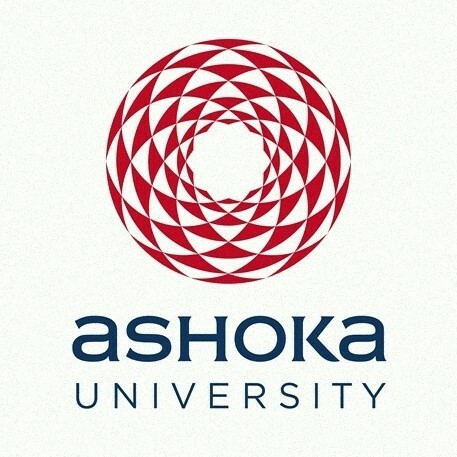 This announcement comes after the appointments of Dr. Pratap Bhanu Mehta as Vice-Chancellor and Professor Rudrangshu Mukherjee as Chancellor of Ashoka University from July 1st, 2017. A former partner of McKinsey & Company, Sankar left the firm in July 2006 to become an independent consultant in the not-for-profit sector in India. He led McKinsey’s healthcare practice initially in India, and then in Greater China. In his 14 years at McKinsey, Sankar focused on leadership development, particularly in healthcare, across pharmaceutical companies, government and quasi-government bodies, hospital chains and health insurance companies in Europe and Asia. In addition to serving clients, Sankar acted as the global Dean of the key leadership development program for consultants at McKinsey, helping to redesign the curriculum, recruit faculty, and be on the ground faculty. He was also the head of the recruiting team for McKinsey’s India office. Since 2006, Sankar has focused on developing sustainable solutions to developmental challenges in healthcare and education. He is currently a strategic advisor to a non-profit educational institution for the hearing-impaired, to help develop its growth path, enhance effectiveness of delivery, and transition to India’s nodal university for the differently abled. He helped establish an international institute for social entrepreneurship, and in its early years, developed the curriculum and pedagogy, as well as delivered programs. He serves as faculty on global leadership development and skill-building workshops and has a pool of mentees of over 1500 people across multiple countries. He serves on the advisory boards of six fast growing enterprises in the healthcare and technology sectors. He has continued to be an external advisor to McKinsey over the last ten years. A Mensa member and a National Talent scholar, Sankar holds an MBA from the Indian Institute of Management (Ahmedabad), graduating in the top 5 of his class. He has a B.Tech degree in Computer Science and Engineering from the University of Kerala, graduating top of his class, and with University third rank across all branches. Ashoka University also takes this opportunity to express its gratitude and appreciation to Vineet Gupta, Founder and Trustee, for his exemplary service as the Founding Pro Vice Chancellor of the University. As Ashoka’s first Pro Vice Chancellor, Vineet has played a crucial role in the University’s emergence as the pioneering liberal education institution in India. He has steered the University through its formative years and been instrumental in building a robust infrastructure, forging strategic partnerships with world-class Universities, and developing benchmark systems and processes, apart from creating a culture of trust and openness and being an accessible leader. Vineet will continue to lend his support to the University as a Founder & Trustee in the Ashoka family.